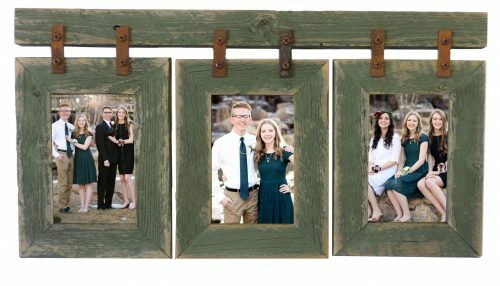 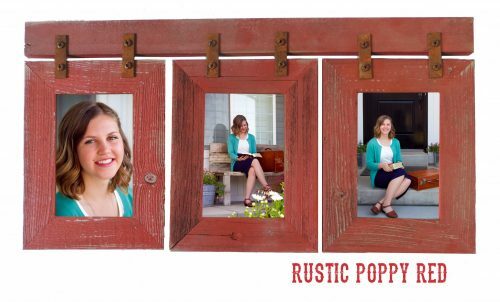 Dimensions 27.5″ Wide X 12″ H. Made of three 1.5″ 5 X 7 basic barnwood frames attached to a 1.5″ barnwood header with rustic metal hardware. 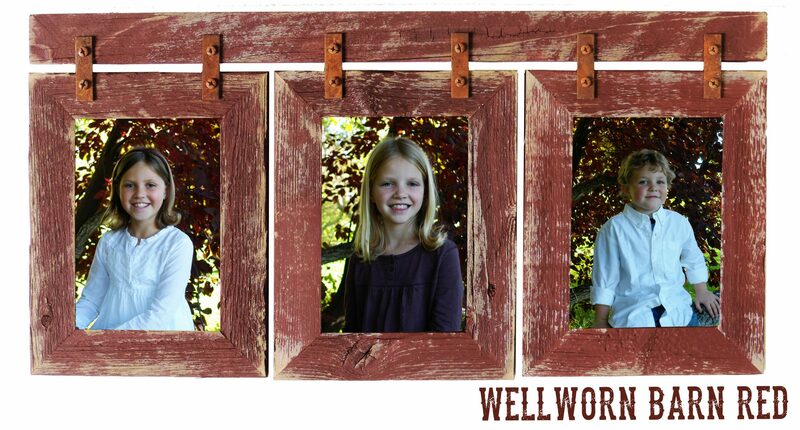 Made to show off 1 vertical 5 X 7 and 2 horizontal 5 X 7’s OR 1 horizontal 5 X 7 and 2 vertical 5 X 7’s. 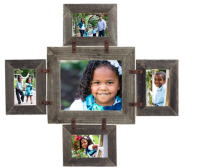 * *Hint–if you don’t have a vertical 5 X 7 available, print out one of your photos as an 8 X 10 and cut a vertical 5 X 7 out of it.